Whether you’re dreaming of holiday get-togethers or weeknight meals with the family, there’s no denying you will need a dining room table set. With an expansive table and chairs, you have a place to host friends, share food and make memories — but what about when a dining room set is too expensive to buy right now? 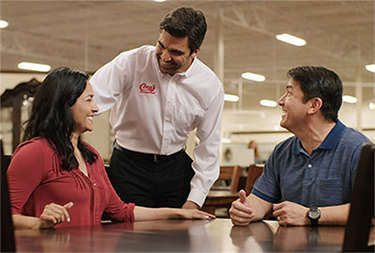 If you think rent-to-own dining room sets are your only options, we’ve got news for you at Conn’s HomePlus. 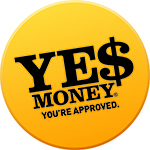 Through our unique YES MONEY® financing program, you may be able to qualify to buy that dining room set right now. It only takes a few minutes to apply online, and you can get an answer instantly. Conn’s HomePlus works with customers with all credit histories — whether you have good credit, bad credit or no credit. Even if you’ve been turned down elsewhere, we’ll do all we can to help you find financing. When you’re ready to host friends and family for dinner, you don’t want to wait to buy a new dining set. Rent-to-own dining room sets are notoriously hard to get — the programs are confusing, and the terms are complicated. Skip the hassles of navigating the rent-to-own process by coming to Conn’s HomePlus. With our YES MONEY® program, you’re able to get the financing you need when you need it — so you can start hosting and entertaining at home as soon as possible.